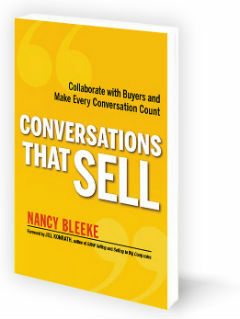 You’ve made the commitment to build your skills in collaborative conversations with Genuine Sales. Congratulations on this decision! I understand your time and resources aren’t endless. The training is a foundational component for the most powerful habits and confidence of productive sales conversations. The comprehensive process of the course ensures a healthy ROI (as Kyle Moore found with his additional $100k in revenue during the course). The process drives the results you will achieve with new information, application, repetition, support, and accountability over the nearly three months. And though it seems this may be all you need, your weekly commitments, support, and accountability do end. That’s when the challenge begins. Will you continue to develop or quickly fall off the “WIIFT bandwagon” as Rick Taborda told me? That’s why we’ve got you covered. How? With a support and development group that will set the stage for you to leverage the hard work and not only remain committed to the day-in-and-day-out activity to remain sharp, relevant, and efficient in your selling efforts. but to continue to grow. What’s it take to accomplish this? 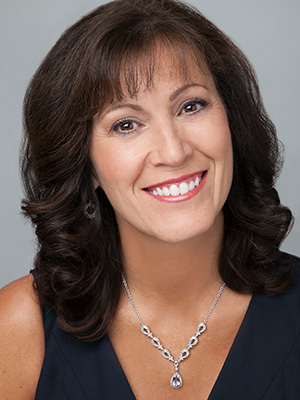 Genuine Sellers Group Coaching will provide YOU the opportunity to continue to grow your sales and strengthen existing client relationships which means recurring revenue and referrals! A community of collaborators! No more than 7 others in your group allows you time to discuss action and real world situations. Role play scenarios when possible for those brave enough to REALLY take their development to the highest level. Your goals achieved! Accountability for your goals with a monthly report out on progress, successes, and challenges. We love to celebrate with you! A focus on what’s important to you (and your group). Your group selects the topics for focus each quarter – in 2018, topics ranged from referral processes, working through specific objections, how to maximize account review, and lead gen – all built from the foundation of WIIFT conversations. Access to virtual webinar replays indefinitely. As part of the Genuine Sellers Group Coaching community, you will have access to the updated and accelerated practical workshops over and over and over. Others in the Genuine Selling club have access to our monthly workshops for 60 days. You’ll identify one specific topic, sales challenge, or sales opportunity to focus on with your coach. It’s your opportunity to make the commitment now to stay sharp, get ahead of your competition month after month, and continue to make every opportunity you have as productive and easy as possible. That means more sales and the ability to help more people with your solution! This is how Jon Munson achieved his 2018 goals by June! Leaving him time to tackle stretch goals and put energy into the infrastructure of his practice. You’ll begin the month following the completion of Genuine Sales. We’re scheduled for 90 minutes typically the 2nd Wednesday of each month at 10:30 a.m. Central at this time. There are a couple of exceptions based on existing commitments. You’ll receive calendar invitations for your group’s sessions well in advance so you can plan your client (and prospect) meetings around them. When you select the individual coaching option, you will have the opportunity to use calendar link in the confirmation email to schedule your first session at no charge ANY time during your Genuine Sales course. Please note my hourly coaching services rate is $350/hour, as you may know. If you want additional coaching besides what is listed above, you will secure that for a year at just $275/hour. We start with a 6-month commitment at this investment level. The feedback from other Members is that the sessions are so valuable you’ll be happy to make the ongoing investment each month. I’m thrilled you’re part of the Genuine Selling tribe. Are you ready to become a Genuine Sellers Group Coachee as well? Let’s work together to continue to build productive sales efforts. You'll receive an email two weeks prior to the first Coaching date with payment links for your monthly subscription.